Guests can receive spa treatments while at Labadee. Members of the ship's spa staff go ashore and give massages and other treatments, which are then charged to the guest's onboard account. The spa has been moved from its previous site on the wooded rise overlooking Buccaneer's Bay. Now the treatments are given on the terrace near the Dragon's Tail Pub. A stone structure serves as one treatment room and a tent pavilion serves as another. 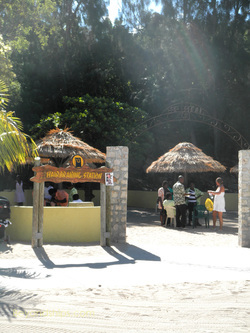 Labadee is not a shopper's paradise like St. Thomas or St. Maarten. 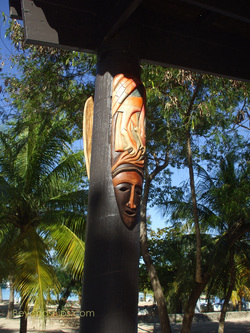 However, the resort maintains a strong, visible connection to the surrounding island and to Caribbean culture in general. 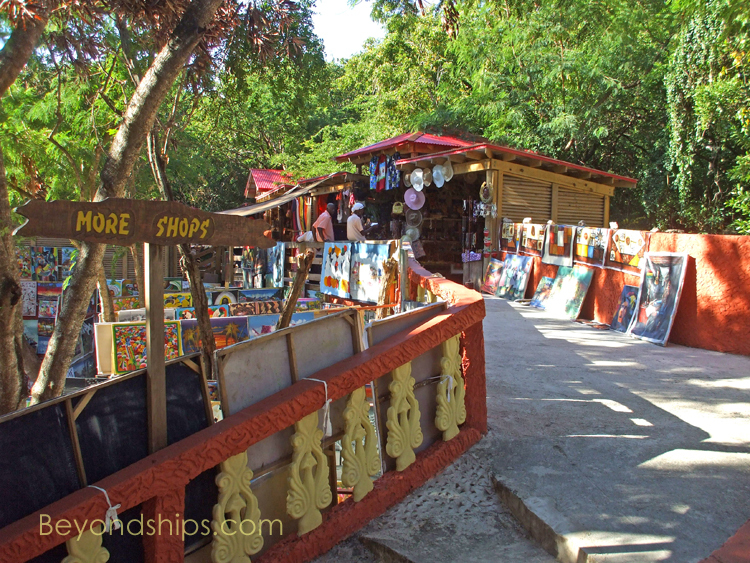 As part of this connection, Labadee has a sizable area where guests have an opportunity to shop for goods actually made in the Caribbean as well as for souveniors. 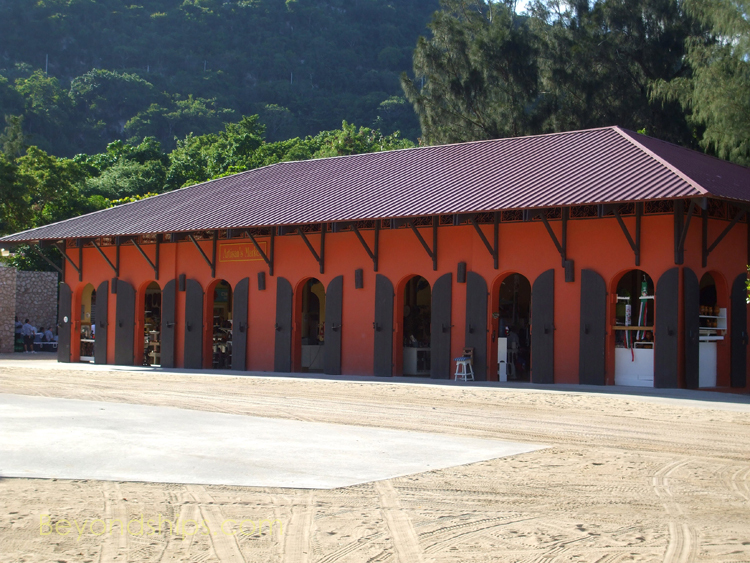 In the Town Square area of the resort is a large building reminiscent of a West Indies warehouse that houses the Artisan's Market (right). Nearby is the Artisan's Village made up of individual stalls. 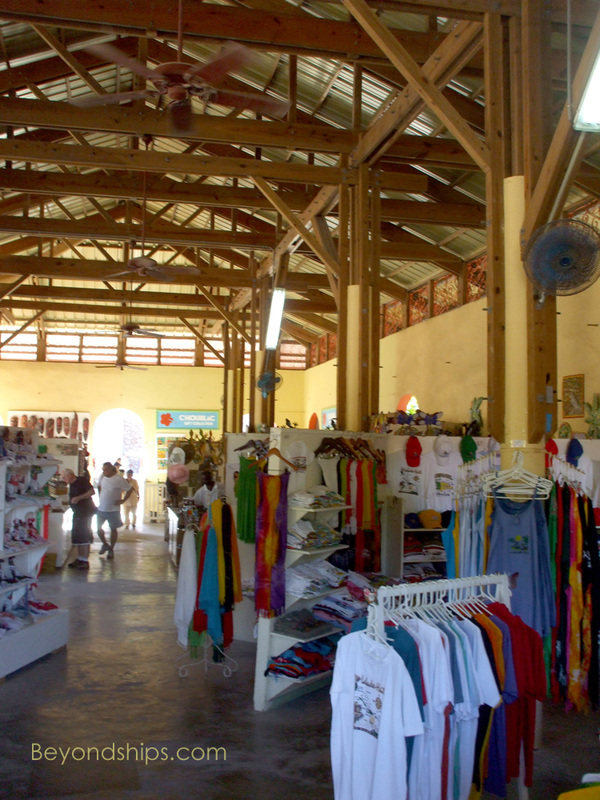 Guests can purchase crafts, artwork and souvenirs from local vendors (below). Transactions with local vendors are cash-only (U.S. dollars). 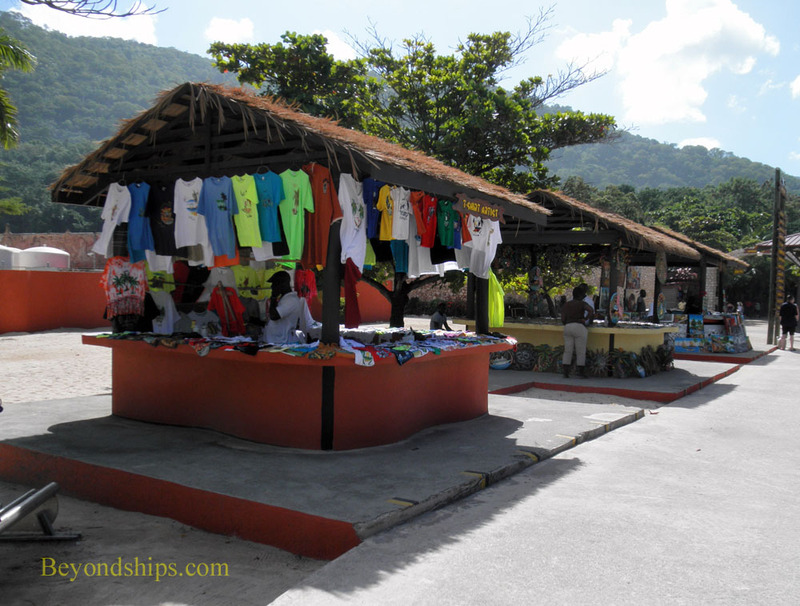 Labadee also has trading posts where guests can purchase hats, t-shirts, sunglasses and accessories. 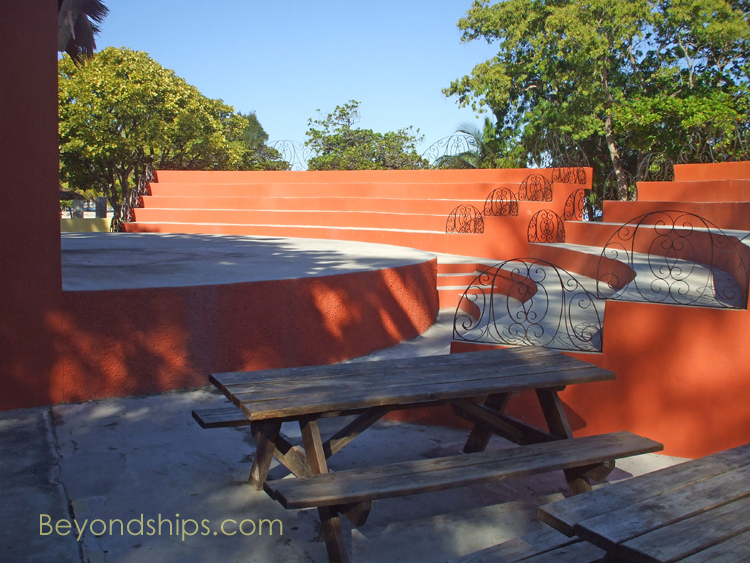 Another part of the local connection is the Amphitheater, where guests can view local cultural shows including Haitian dancing (right). 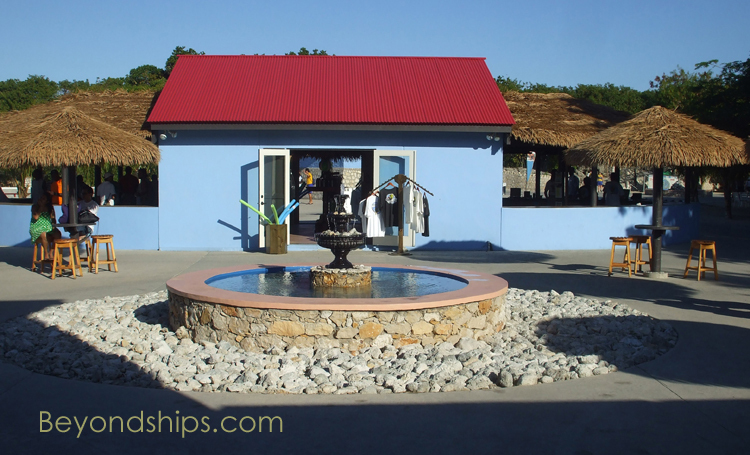 There is also a station where guests can have their hair braided Caribbean-style (left). Click here to return to our Labadee home page. We also have sections including photo tours, interviews and menus, on many of the ships in the Royal Caribbean fleet and almost all of the Celebrity Cruises ships.